It is SO good to see you here, Hilary. And glad you did get here. So you’re back in England. I will be getting back to interacting with some bloggers because I need to stay in touch with some select few, such as you, just as I need to keep writing, as I’ve discovered these past 8 months. 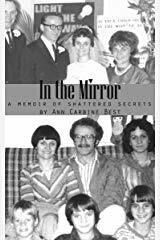 I’m finally completing a second memoir, two-thirds shorter than the first one. It’s my spiritual journey with Jen which will have a lot of “Mormonisms” in it. 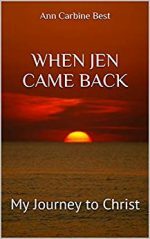 The In The Mirror memoir had some of this, but coming to Christ is the theme that runs through this one: title: When Jen Came Back, alluding to as the reader will learn, an out of body experience when she was in her coma. I think most readers of any religious persuasion could like the stories. Yes, we are indeed in a miserable arctic zone here. Just finished talking to my 94 year old aunt in very warm Phoenix, Arizona in southwest USA where it’s about 70 degrees today. It is REALLY cold here on the east coast. Going to be 1 degree tonight. Right now it’s 27, and windy. Jen and I are managing, thank you, and hope you are too. I’ll see you soon on your blog, and will begin putting up some more posts here 🙂 Jen is waving HI.